Minors 12 years old and up are welcome provided they are accompanied by their parent/s or legal guardian. Please call us direct for details. Cost: 190.00pp Students pay their own ammo, range fees. Length is 4-6hrs. Performance based. 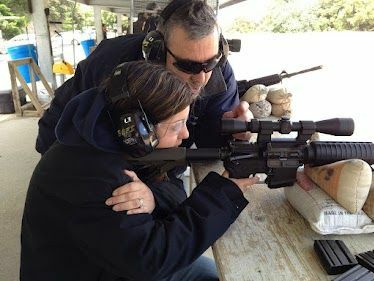 This course is designed for the individual that is either considering purchasing or has already purchased their own rifle. 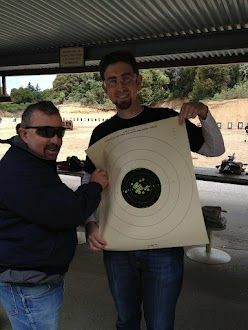 In this certification course you will learn the following: All safe gun handling skills, before you are allowed to conduct your live fire exercises at the range. Position, Grip, Sight alignment, Breath Control, Trigger Squeeze, Follow Through. You will also learn how to adjust your scope to zero. What type of Rifles can I choose from? AR-15, Ruger Mini-14 with scope, our AR-15 Rifle either have a scope 3×9 or 4×12 Leupold is the brand of scopes we use especially built for the AR-15 Rifle. We also have an AK-47 Rifle in 308 cartridge. You will learn to take the rifle apart, to clean, and put it back together. Will have One (1) hour on the range live fire. Course length is between 4-7hrs for full length certification, performance based depending on size of the class, and how efficiently you pick up the skills. Maximum 4 students per instructor.